I recently had an unexpected three day weekend in Toronto curtesy of Air Canada. We were heading back home to San Francisco from Spain with a scheduled one hour lay over that turned in to a three day ordeal due to the severe ice storm. Instead of getting bent out of shape over the delay we just rented a car at the terminal and got a nice hotel room for a few nights while the airlines sorted things out. I had spent time exploring Toronto years ago so I knew the city well enough and liked it. From a distance Mississauga has an impressive skyline. 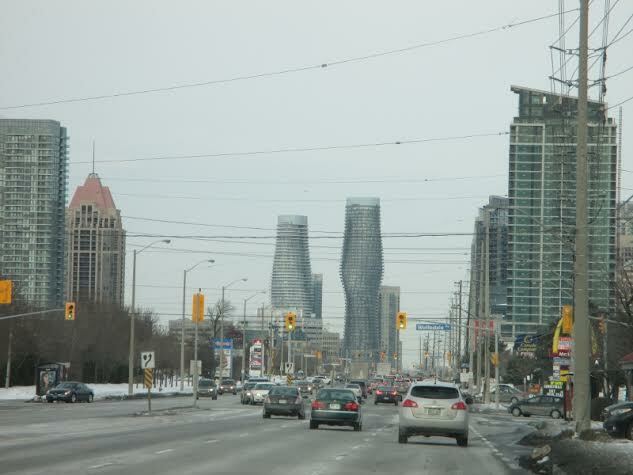 It gives the impression of a city as you drive in from Pearson International along the highway. 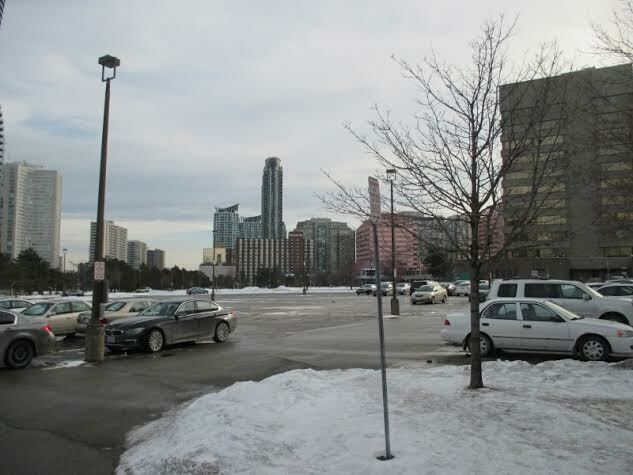 But once I arrived and started to explored “downtown” Mississauga I experienced a kind of urban asymptote. I would approach a cluster of tall buildings with the expectation that once I arrived there would be something like a town there. But it would just be a few tall office towers next to an eight lane highway and three parking lots. So I would head off to the next tall thing on the horizon only to find that it too was an isolated condo tower next to a Tim Horton donut shop and a grassy berm. Mississauga has spent the last forty years transforming itself from a blue collar town like its neighbors Hamilton and Kitchener into an upscale suburban dynamo. 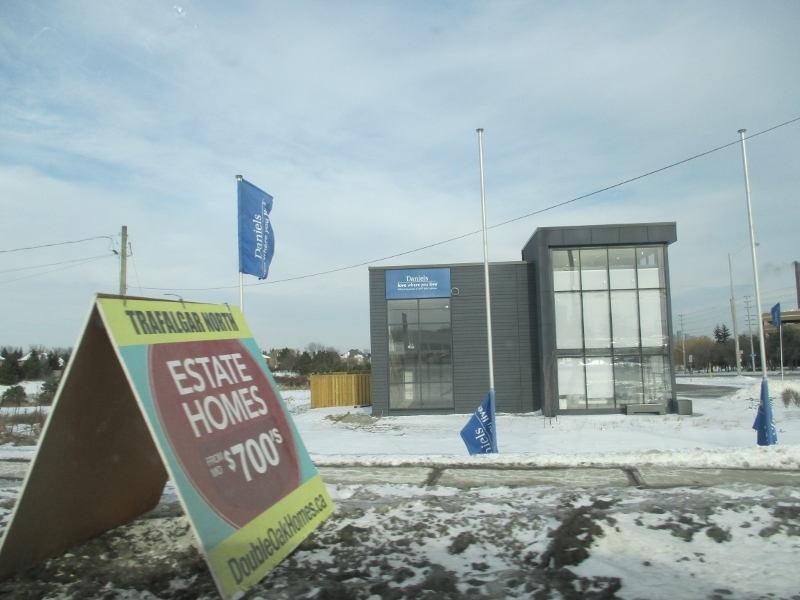 It now has the best regional shopping mall, the best premium office parks, the most desirable McMansion subdivisions, the best suburban public schools, and the lowest property taxes in the Greater Toronto Area (GTA). Physical growth and horizontal expansion were fueled by private capital from developers. Their impact fees kept the municipal coffers full and all that shiny new infrastructure didn’t need much attention during its first lifecycle. Now, forty years in to the Suburban Experiment, the costs associated with maintaining that aging low density infrastructure (roads, sewers, police and fire protection, and other city services) are outstripping the revenue generated by the relatively low value low density sprawl. As is typical the local council had to choose between raising taxes or cutting services. 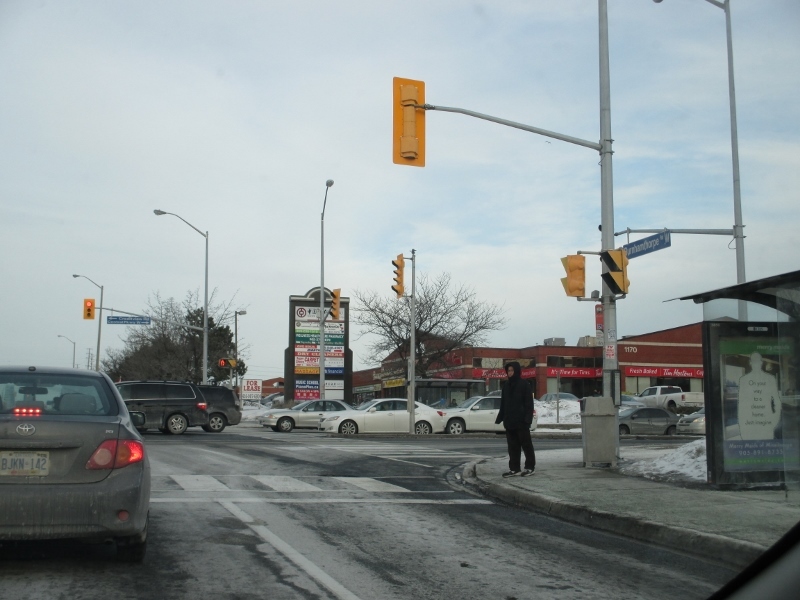 To their credit Mississauga leaders understood that there was a possible Third Way. Densification, the process of adding value to the existing infrastructure, could solve their problems. Unfortunately they made the mistake of thinking that they could simply plop down massive condo towers on to the existing suburban road network. It doesn’t work that way. 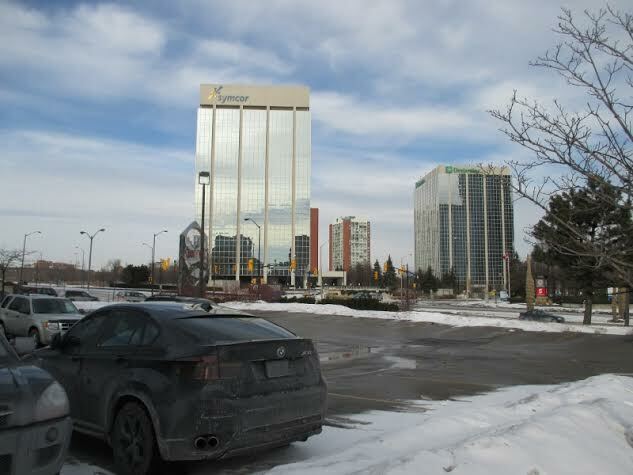 Standing on the edge of the Square One Mall parking lot on Hurontario Street (an impressive pedestrian-repelling eight lane divided highway) with a Mr. Lube and Walmart to my back I thought… “Really?” Tall buildings floating on a sea of surface parking lots, separated from each other by strip malls, gas stations, and big box stores… it doesn’t add up to a city. It’s more like Schaumburg, Illinois on steroids. And before any of you out there dismiss my concern as merely cosmetic, I have to ask how many of these towers the existing auto-oriented road network can support before it’s overwhelmed and traffic grinds to a halt? The answer is – it already has. Mississauga is now in the process of fixing these problems, but it’s going to take time and a whole lot of money to retrofit the place. 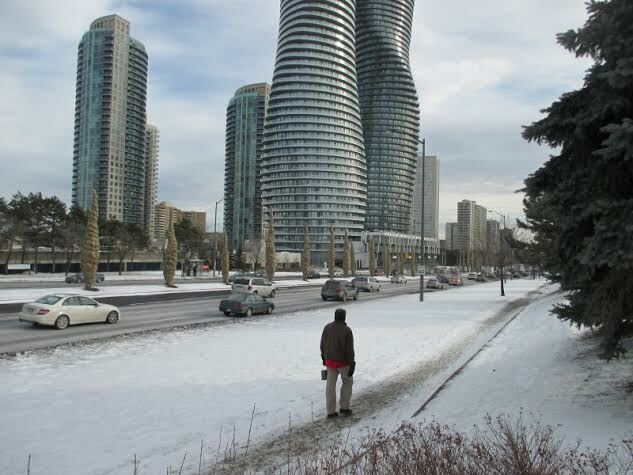 From my perspective Mississauga has switched from one silver bullet cure-all to another. The problem with both the suburban sprawl model and the luxury condo/office tower model is that they are both way out of human scale and the increment of development is far too large. It isn’t built to last. And it won’t.